Grow Zone Recommendation: Yucca is a perennial that grows well in USDA agricultural zones 4 to 11. Sunlight Needs: Your yucca plant requires full sun and thrives in the heat. Watering Needs: Yucca is very drought tolerant. Once established it needs very little water. You shouldn’t need to provide irrigation at all…just keep an eye on it to make sure it doesn’t look droopy. Average Size: Average size for a full-grown yucca plant is 1 to 3 feet tall and 4 to 6 feet wide. Actual size of your plant will depend on the variety, so check with your local nursery. 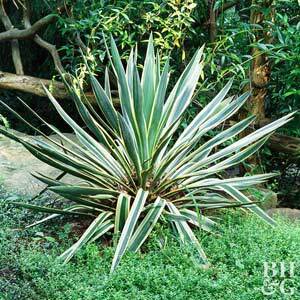 Foliage Color: Yucca boasts long, emerald green leaves with pointy ends, and a white outline on each leaf. When in bloom, it features showy spires of big, white flowers. It is a summer and fall bloomer. Must Know Plant Care Tips: Be careful where you plant yucca. You don’t want it close to pathways or sidewalks where people may be scratched or poked by it’s sharp-tipped leaves. All your yucca should really need is well-drained soil and plenty of sun to thrive. Plant Problem Solver: If you want great fall foliage and a plant that blooms in both summer and fall, yucca is a good choice. If you have a sunny spot that doesn’t get regular irrigation, it’s also a great option. Yucca is deer resistant and fits the bill for erosion control on a slope. Its evergreen leaves provide winter color, and its fragrant blooms attract birds. It will also do well in well-placed, well-drained containers. Pretty Pairings: Yucca is best planted next to other plants with similar sunlight, water, and soil requirements. 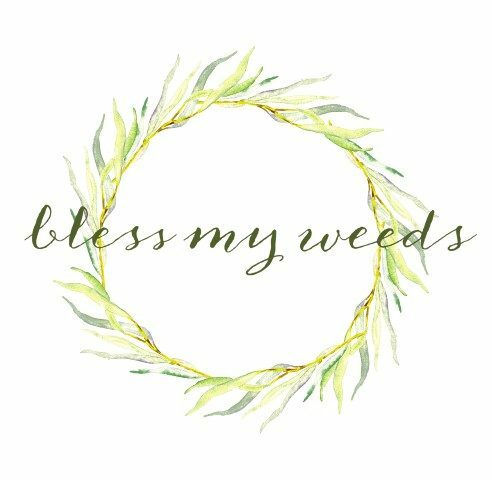 Consider sedum, sage, yarrow, and tiger lily. 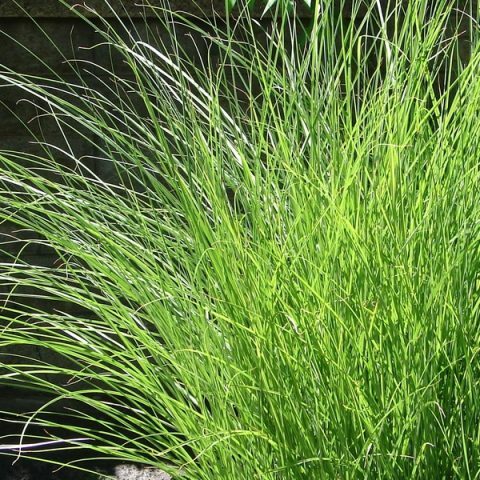 You might also combine yucca with coreopsis, or other plants with similar growing requirements and finer-textured foliage, to provide contrast in texture.